Dinghai Qiao as an important industrial area in colonial and socialist Shanghai, is now faced with marginalization and declines in its economic and social status in the past twenty years. Although described as a slum area, the neighborhood possesses its own language, discourse, social network and spacial characters that reflect the qualities of an elder generation of Chinese working class and energies of new migrant workers since 2000. 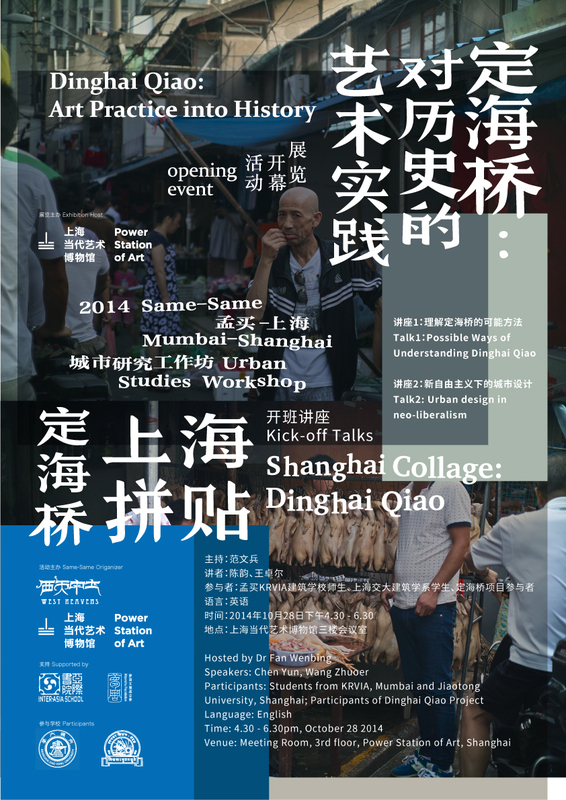 Cases and methods will be shared from the past one-year of studies on this community, that may provide us possible ways of entering and understanding Dinghai Qiao as a way of understanding ourselves and a broader social scene. Since 1970s, the upcoming neo-liberalism with the laissez-faire policy generally changed the market structure. As always, this shift had big impact in the urban design. From Brussel to Athen, two research studios from Berlage Institute (2009-2011),will be studied and presented. In which, the top-down & button-up strategies had new meaning &definition.